Jimmy Jangles presents: The Optimus Prime Experiment: How many number one songs have U2 had? U2 have had all kinds of hits on the music charts but at the end of the day it’s the songs that made number one on those charts that are often the ones asked about as questions in pub quizzes. So to help you out, here’s a list or two of U2 songs that have made number one. Two my mind there are only two charts that really count. Being ‘Top of the Pops’ in the UK means you are number one and crowning the Billboard 200 means you have the most popular song for the week in America. And we’ll use those charts to show how many number on hits U2 have had. First up is the America Billboard chart which shows the U2 have had two number one hits. Both hits were from The Joshua Tree and were With or Without You and I Still Haven’t Found What I’m Looking For. Desire from Rattle and Hum made it as high as 3 and a couple of singles from Achtung Baby and Pop made the top 10 and that’s it. So, U2 have only had 2 number one American hits. It’s a better story for the UK chart where U2 have had a bit more success in terms of chart toppers. Nothing from The Joshua Tree went to number one despite the album’s massive success so it was Desire that became U2’s first UK number one hit It came from Rattle and Hum. In 1991 when The Fly flew off as the lead single from Achtung Baby it landed at number 1. It was a long time between drinks when Discotheque dropped in 1997. U2’s All That You Can’t Leave Behind had a string of popular singles but only Beautiful Day in 2000 managed the spot. A debatable number one is Take Me to the Clouds Above" by LMC vs. U2. Debatable as it was a song featuring samples from U2's With or Without You with a health splash of Whitney Houston thrown in. 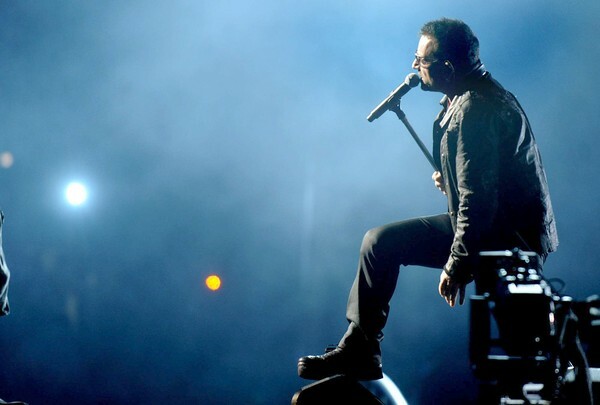 At the end of the day, the song has U2’s name in the space where the artist’s name goes so it counts as a number one. How to Dismantle an Atomic Bomb offered a notable double with both Vertigo and Sometimes You Can’t Make It on Your Own grabbing their time in the top position. No Line on the Horizon suffered from a lack of hit singles. This means U2 have had seven number one hits in the UK and two in the U2. Unsurprisingly U2 are even more popular in their home country of Ireland and owned the number one place an awesome 21 times. The next most popular country is the enlightened people of Canada with 14 which is twice as many as the UK successes.